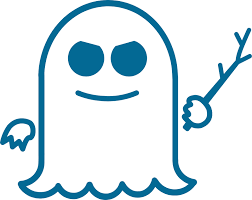 The folks at FreeBSD have been working diligently on patching the Spectre and Meltdown security vulnerabilities since it was made aware late last year, according to Softpedia and Phoronix. See the links below and take proper measures to keep your FreeBSD systems safe and up-to-date. The project said that they are working with CPU vendors like Intel and AMD to mitigate both Spectre and Meltdown on FreeBSD, but did not give an estimated time of the publication of the patches. One and a half months later, the patches to mitigate Meltdown via PTI (Page Table Isolation) arrived, along with PCID optimization of PTI. Also, the FreeBSD project released a kernel update that includes the IBRS (Indirect Branch Restricted Speculation) feature to partially mitigate the Spectre vulnerability, which is harder to fix than Meltdown and could hunt us for next few years, according to one of the security researchers involved in its unearthing.